Over fifty years ago, the first Vegas coin show opened as a gala event featuring show girls prancing with giant golden coins at the now defunct Sahara Hotel. U. S. Mint Director, Eva Adams, presented awards and over 7,000 people attended, including the legendary Sam Boyd. The show is now back on the strip at the Riviera Hotel and Casino, opening Mar 20, but soon this historic hotel will be destroyed. Over $50,000,000 worth of rare U. S. and world coins, currency, stamps, collectibles and jewelry will be on display, including the valuable 1943 bronze Lincoln cent worth $250,000 offered by the Argent Group of Delaware. Attendees will be able to view, buy, sell and trade silver dollars, Carson City coinage, colonial copper, Civil War tokens, confederate currency, gold nuggets, English silver, even a $1000 bill. Also exhibited are the rare decadrachm of Syracuse, Columbian emeralds, casino chips, world’s fair medals, vintage movie posters, daguerreotypes and other collectibles. This 52nd annual exposition is presented by CK Shows for the Las Vegas Numismatic Society who provides scholarships for Nevadan collegiate and numismatic education to the Las Vegas community. At the exposition, a person may get a free appraisal from over 150 independent dealers, purchase gold and silver coins, learn about history, shop for a gift and see interesting and rare stamps. You may sell old coins, paper money and gold, browse fine jewelry and submit coins for grading and authentication. Peruse vintage collectibles and antique silver. Find out what your local coin club does for fun or attend a silver dollar seminar. Look at ancient coins, relics and icons or check out old Vegas memorabilia. Locate coin collecting supplies, kid’s programs, reference books, educational forums, guest authors and more! In short, a coin show is a place to buy, sell, view and learn for three days in this exciting competitive marketplace of over 150 dealers. Saturday’s counterfeit seminar extends a great opportunity to learn from rare coin expert Michael Faraone. Faraone has been a professional coin grader for 21 years and is recognized in authentication and counterfeit detection. This must attend class is set for Saturday, March 21 and begins at 12:00 noon. Complimentary seating is limited. On Saturday morning, learn about silver dollars with a four star panel of industry experts and renowned authors John Highfill, C Logan McKechnie, Jeff Oxman and Mark Witkower. Seminar begins at 2 pm on Saturday, March 21. Complimentary seating is limited. Saturday is a great opportunity for kids of all ages to learn about coins from Walt Ostromecki, the president of the American Numismatic Association. Start your numismatic adventure at 10:30am and continue with Treasure Hunt and other activities until 4pm. 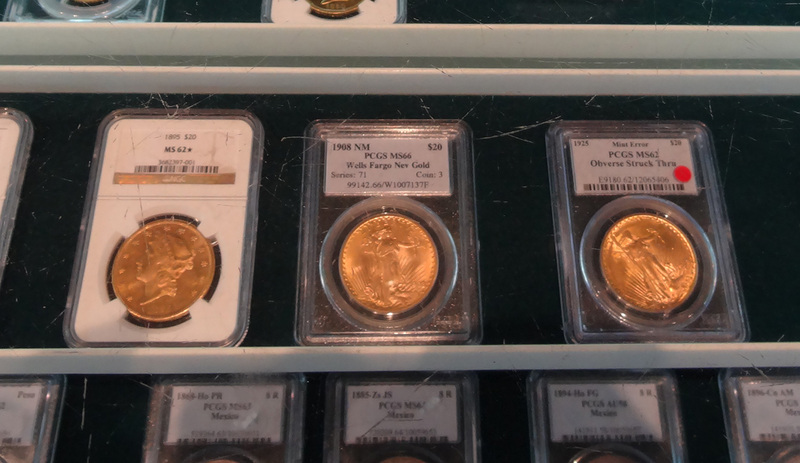 ANACS, America’s oldest third party rare coin authentication and certification service, will accept submissions onsite at the show all three days. Hours are Friday and Saturday 10am to 6pm, Sunday 10am to 3pm. Public admission is $3 for all three days. There is free admission for members of any collectibles club, seniors 65 or over, Boy Scouts or military in uniform and children 8 years old or younger. Bring this article for free entry. For more details, including hotel rate or exhibitor info, visit www.ckshows.com, email info@ckshows.com or call Dawn at 888-330-5188 or 800-208-1810. Future shows are scheduled for September 11-13 and December 11-13. New location to be announced.